Aaron – Law enforcement marketing specialist, penguin and media contact for WLS. Nick – Nick is transmitting from a porta-potty in an undisclosed region of Montana. He spends his day making high dollar rifles and barrels and his nights reviewing products. Shawn – I’m Shawn, I’m an instructor, reviewer, competitor and I like candy. Our special guest tonight is Carol Salva from the fat2fit podcast. She’s a fitness enthusiast, great host and downright awesome lady. Hi Carol! Tell us about your show… fat2fithq.com, Now Carol you are doing a pretty interesting project on the Firearms Radio Network. Tell us a bit about that. LIST of WORDS TO NEVER SAY – drinking game. Anybody – WEAPON, Hi-Point. ←—– This is how I die…..
Lil: I got to do one of my favorite gun activities – I took a girlfriend to the range so she could shoot for the first time! Carol: I want to be Lil’s girfriend. I opened the box of airguns that arrived… finally. Still intimidated. Statler and Waldorf – Aaron – Because our two old grumpy men enjoy taking potshots and snipes at all the muppets they get a gun to match their age and intent the M1903 Springfield, a rifle that first saw service in 1903 and later became a sniper rifle. Gonzo – Carol – He needs a rifle because he is a showman and a daredevil. I don’t know many but I can recommend my Optimus break barrel. Only Gonzo’s will have chewing gum in the end of it so that it blows up on him and the end curls back like Elmer Fudd’s always did. Gonzo is fine, of course, as always. David Bowie from Labyrinth – Nick (never seen muppets, but labyrinth is Jim Henson, so it counts. Right?) no gun because his pants are scary enough. My wife just got her CCW and we are trying to figure out what works best for her to conceal her firearm. We are not big fans of purse carry for fear of arming a purse snatcher and we have little ones that like to go through her purse when not on her. We are thinking about trying the crossbreed belly band but with the vecro holster we are nervous about her wearing a loose fitting outfit and it falling off. Do any of you have any experience with this item or can you recommend another conceal carry item for a woman that dosen’t want to purse carry. Thank you. Lil’s Answer: Larry, thank you for your question! I tend to agree with you and your wife about the purse carry option, and would recommend carrying on your person whenever possible. I have not tried the Crossbreed Belly Band, but I based on your question, I will get one and do a review for your wife. I asked this question on my Heels and Handguns Facebook page, and I did receive many responses – the most suggested holster was the Remora “no clip” holster. This holster works best with tighter pants, and is held in place by the pressure of the pants, the material it is made from causes it to “stick” to your skin, and it remains in place. Every lady who recommended it said it was the most comfortable. If you go back to Episode 005 of the WLS podcast, you will hear that one of the founders of the Rocky Mountain Tactical Ladies, Germaine, also recommends the Remora holster. Based on Germaine’s review and the overwhelming response to my question, I have a Remora on it’s way to me now for my Springfield XDS. Remora does have many other holsters with clips and other retention options as well. Besides the Crossbreed belly band, which would work better than a Waist Band holster if a lady was wearing something like a dress or very loose waistband shorts or slacks, there are a few other options to consider. The Flashbang Bra holster gets a lot of attention, and it does work, but there are a lot of variables, both in the build of the woman, the type of bra she is wearing, not to mention the shirt she chooses. (Watch YouTuber Hank and Lola Strange’s Review.) 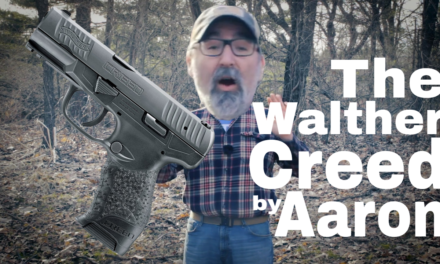 It is definitely an option, and I think that considering all the clothing options women have, the key to constant, consistent carry is to have a few different holsters to provide more concealment options. Some other options to consider are compression short or the tank-top holsters. Hey! guess what, we know a guy that knows a guy and want to give you some discounts. It’s the least we can do in exchange for you listening to this drivel. Tonight it’s our very own RiversEdgeTactical. Just go to RiversEdgeTactical.net and use coupon code: wlslistener for a 10% discount. Thanks so much to Jeremy for rewarding our great community! 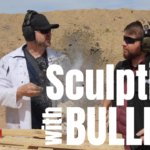 We appreciate the feedback and will literally give you 22lr ammo if we see you at the range. Just walk up to us and say LOLLERCOPTOR and we will give you 5 22lr rounds. If you like our show, please share share share. On facebook, twitter, google plus, your friends, your family, even make your grandma listen to us. Trust me, she’ll love the show and Jeremy is single. Love is love, who are we to judge. Like what we are doing and want some reviews, tips, tricks, videos, reviews? 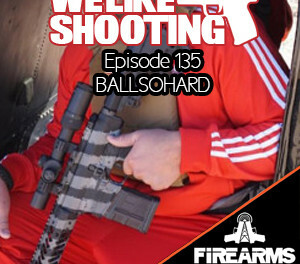 check us out at welikeshooting.com. Now look, let me get serious here for a second. Real talk. 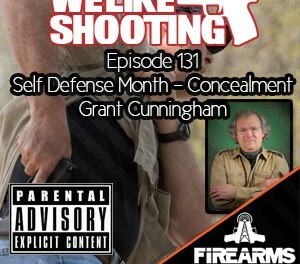 You should be listening to all the shows on the Firearms Radio Network. I know I know, you don’t have 16 hours a day. Well maybe it’s time to reflect on that and eliminate some unnecessary things. Eating. Sleeping. Look, just make it happen and don’t disappoint the family. 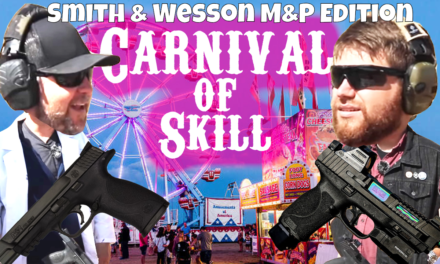 Shawn: I listened to my own episodes of this week in guns. When you are on the show, you don’t necessarily get a chance to really digest what the other guests are saying, so it was good to go back and reflect. Lil: Talking Lead (039) One of my fave gun ladies, Gabby Franco was a guest! Thanks for listening, be safe and shoot straight.